We may figure when we go out to eat at Cheesecake Factory or Chili’s that we’re not necessarily eating the healthiest food in the world. But the annual Xtreme Eating Awards, put out by the Center For Science In The Public Interest, highlight exactly just how unhealthy that food can be. This year’s “winners” were just released, and Cheesecake Factory has not one but two items on the list. 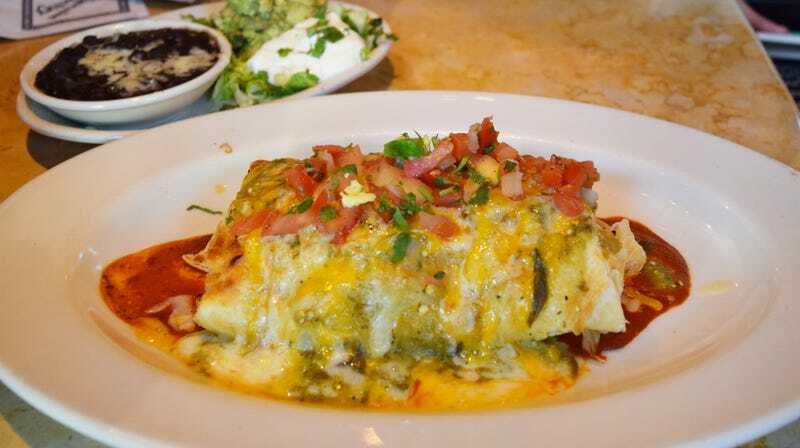 Dubbed “The Worst Way To Start The Day,” the Cheesecake Factory Breakfast Burrito (served all day!) has 2,730 calories (more than a full day’s allotment) and 73 grams of saturated fat. CSPI offers helpful evaluative ratios per offending meal, so finishing that whole burrito is equal to eating seven Sausage McMuffins. Check out the whole 2018 list here to see which other restaurant items you’d do well to steer clear of.